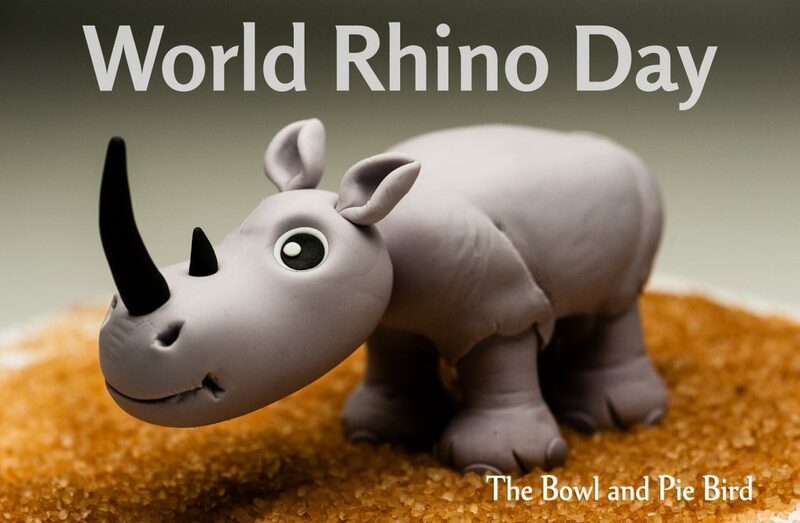 I made this rhino for last year’s World Rhino Day on 22.9.2015. One year later things still aren’t looking good for rhinos who are being poached to near extinction for their horn. There are many organizations who are looking after and protecting the world’s rhino population. Besides main tasks such as habitat protection, protection from poachers, education and improving the cohabitation of man and animal the following two organizations in my opinion are doing a sheer amazing job. This entry was posted in Food for thought, Sugar flowers & figures and tagged Animals, Ausrottung, Extinction, Nashorn, Poaching, Rhinos, Tiere, Wilderei.